So I wrote a review of a movie that has left a great impression on me. 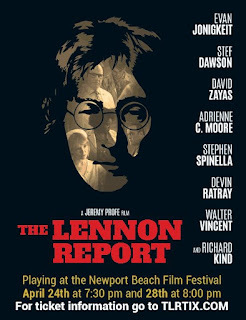 It's about a movie called 'The Lennon Report'. This film doesn't look at the life of the famous artist and musician John Lenonn or the person who killed him. This movie starts from the moment he received the bullet,and it ends with the impressions of the people who were near by in the moment of his death .